Op. Dr. Ayşe Öztürk was completed her elementary, middle and high school education in Elazığ. In 1995, she graduated from Fırat University, the Faculty of Medicine. Then, she began her specialist training in Plastic Reconstructive and Aesthetic Surgery Clinic in İnönü University, Turgut Ozal Medical Center in 1999, and completed her specialist training in 2005. During her specialist training, she found opportununities to have experience and training in all area of the plastic surgery such as Aesthetic surgery, microsurgery and hand surgery, cleft lip surgery and cleft palate surgery, orthognathic surgery, tumor surgery, congenital anomalies. She worked as a specialist in TÖTM in İnönü University between 2005 and 2007, then in Malatya State Hospital until February of 2010. She continued to work in İstanbul Education and Research Hospital in the period between 2010 and 2011 after that, she worked in Istanbul Yenibosna and Bağcılar Safa Hospital between 2011 and 2012. Now, she continues to study in a private hospital in İstanbul from September of 2012. Op. Dr. Ayşe Öztürk’s specialties about plastic surgery include face, nose aesthetic surgeries, mammoplasty and cosmetic applications, chin surgery, skin tumors, skin tumors, fastering sore surgery, cleft lip and cleft palate surgery, maxillofacial surgery, congenital anomalies, hand surgery and breast reconstruction. To be admired and feel beautiful is the most important self- motivation which people connect to life. Aesthetic surgery operations are the most effective methods which people bring their self-confidence and their joy of lives again. After consultation with patients, Op. 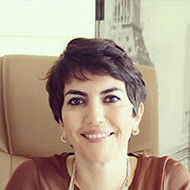 Dr. Ayşe Öztürk’s main objective is to provide accurate diagnosis and effective treatment services, and to pay particular attention to patient satisfaction, and most importantly, to fulfill the operations in the foreground holding naturalness without exaggeration in the most accurate way reaching excellent results, when applying them.